The port of Oakland purchases renewable energy to serve electric customers at its airport and seaport. All of the energy purchased by the port of Oakland from EBMUD is both renewable and greenhouse gas-free. Port of Oakland Director of Engineering: Extending the contract strengthens the port’s commitment to sustainability. The Port of Oakland approved an existing renewable energy power purchase agreement with East Bay Municipal Utilities District (EBMUD) for an additional five years. The port purchases renewable energy from EBMUD’s biogas facility at the foot of the Bay Bridge to serve electric customers at its airport and seaport. All of the energy purchased from EBMUD is both renewable and greenhouse gas-free and will help the port meet state renewable energy goals. The port entered into a five-year contract for the output from this facility in 2012 and the facility has been a reliable source of renewable power. Port and EBMUD staff proposed several modifications to the agreement that will continue the successful partnership, including a price reduction of approximately 20 percent. 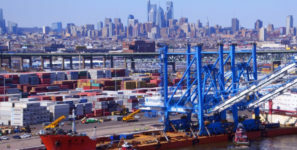 “Extending the contract will continue and strengthen the port’s commitment to environmental protection and sustainability,” said Director of Engineering Chris Chan. The waste that goes into EBMUD’s wastewater treatment plant provides the Port of Oakland with electricity for purchase. As a utility provider, the port purchases renewable energy from SunEdison and EBMUD and resells it to 125 customers. The customers are maritime and Oakland International Airport tenants who need the energy to power their operations. The transaction is part of the Port of Oakland’s renewable energy strategy that calls for 75 percent of its energy purchases to be greenhouse gas-free by 2018. Together with the port’s hydroelectric purchases, the total power portfolio provided to port tenants is projected to increase from 50 percent greenhouse gas-free in 2014 to 75 percent by 2018. The energy strategy also puts the port on track to meet state mandated deadlines. According to the California Clean Energy and Pollution Reduction Act signed last year, half of the state’s electricity supply must be derived from renewable sources by 2030.